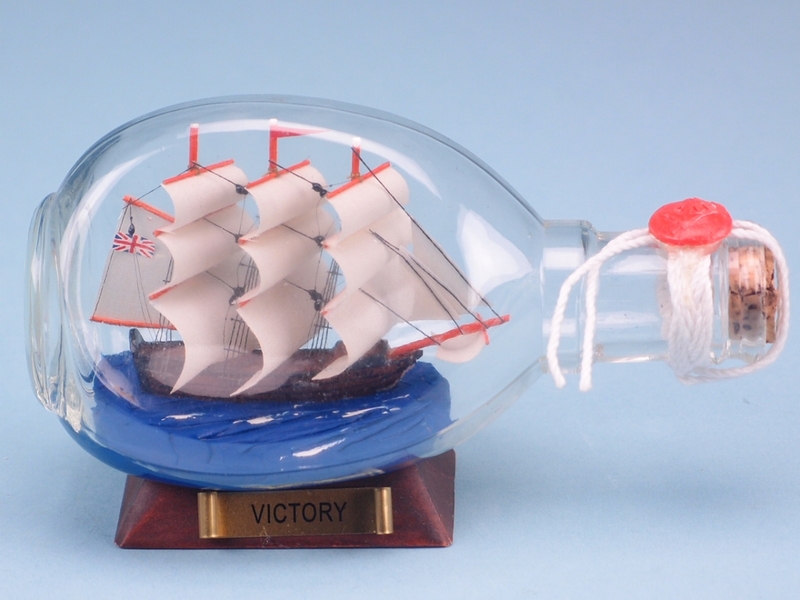 A model of HMS Victory in a traditional dimple bottle - length 15cm. For any maritime enthusiasts, they would have heard of ‘ship in a bottle’ and they may even own a few ornaments themselves! 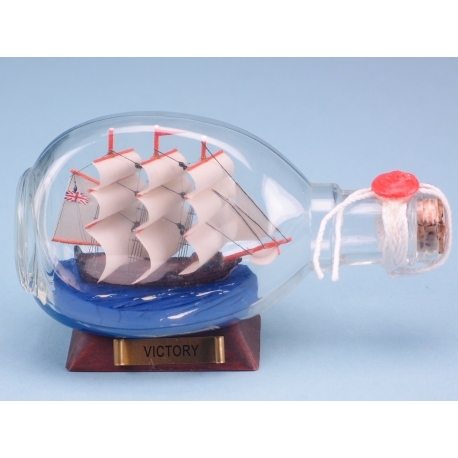 Well, this Victory in Dimple Bottle – 15cm would be the perfect gift for anyone who adores nautical history. The HMS Victory is a Royal Navy ship that was launched in 1765 and is known for her role in the Battle of Trafalgar in October 1805. This particular piece depicts the famous ship, and the detail is exquisite. The stunning ship is sailing on the stormy seas, and the Union Jack can be seen billowing at the rear of the vessel.